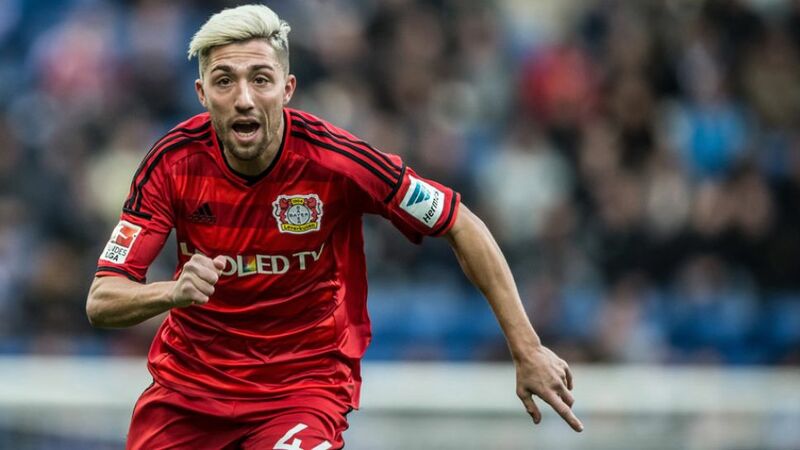 Ahead of that mouthwatering fixture, bundesliga.com caught up with Kevin Kampl to discover his views on Leverkusen's season, the Javier 'Chicharito' Hernandez and Stefan Kießling partnership and their chances against Bayern this weekend. bundesliga.com: Kevin Kampl, what do you make of Leverkusen's league situation after the 3-0 win over Hannover? Kevin Kampl: Our aim is to qualify for the Champions League and that would mean finishing third or fourth. We're heading in the right direction and after picking up a point in what was not an easy game in Hoffenheim, we've now won. We've got some tough games coming up, though. First with Bayern, then at Darmstadt, where it's not going to be easy, and after that we've got Dortmund. We host Werder Bremen in the DFB Cup and then Sporting Lisbon [in the Europa League]. These are all difficult matches. That's why it's important that we've started the second half of the season successfully. It's likely to be another battle to the very end for a place in Europe. A lot of clubs, including us, have dropped points unexpectedly. bundesliga.com: What do you see when you look at the table? Kampl: It's not that I'm starting to make any calculations, but I do know what position we are in and what our goal difference is. It's still too early to make any kind of statement, though. It's nice for the fans because it's exciting, but less so for us players.